HOT Data: In China, the producer price index rose 6.3 percent in August from a year earlier, versus an estimated 5.7 percent in a Bloomberg survey and a 5.5 percent July reading. Weak Dollar Side Effects: PPI exceeded all but one of 38 estimates in Bloomberg’s survey of economists. China Inflation: The consumer price index climbed 1.8 percent, compared with 1.4 percent a month earlier, the statistics bureau said Saturday. Deep inside the Federal Reserve, there’s a growing concern. Commodity prices are rising at the fastest pace in five years. The global reflation picture is nearly on the Fed’s doorstep. In our view, there’s a surging probability the Fed gets thrown off track in 2H 2017. They are behind the curve relative to suppressed market expectations* (outlook for low inflation) – which the Fed has fostered, embraced and enabled. Over the last decade, we’ve learned academics at central banks are poor risk managers – especially when it comes to misjudging sharp moves in the U.S. dollar. *Thanks to dovish Fed guidance (leaving the punch bowl filled at the party far too long – more accommodation), the interest rates futures market now sees September 2018 (yes 2018!) as the earliest FOMC rate hike (with >50% chance of Fed hike). A year from now, the FOMC will have serious regrets looking back on their latest policy moves. Nearly 10 years after Lehman, it’s sad – they have NOT learned the error of their ways. If we look back at the 2014-2016 regime and ask what did the Wall Street’s economists get most wrong in “trying to read” the Fed? Far and away the answer to this question is found in global economic (disinflation) pressures. Back then, U.S. economists were far too focused on “robust” domestic (U.S.) economic data. The Fed coached them into looking for 12 (yes twelve!) rates hikes (2014-2016) – while ultimately the central bank only delivered two. In August, China reported imports up 13.3 percent in dollar terms. Street forecasts were looking for a 10.0 percent move higher in the same period. Keep in mind, since January, China imports have sustained 11% growth. This is the most impressive level of sustained trade growth we’ve seen in six years. Friday’s strong (August) import data, points to domestic demand in China far more resilient than expected in the second half of 2017. China can thank the Fed and a weak U.S. dollar in our view. We must NEVER forget, the Federal Reserve is conducting monetary policy in an $80T global economy, NOT a petri dish. As the Fed attempted to hike rates 2014-2016, the dollar surged and the global economy suffered (see above – left). Today, as the Fed has dramatically softened the rate hike outlook – the dollar plunged (top – right) and the global economy is picking up steam (see above – bottom right). In the months ahead, it will be pure entertainment – watching the Fed try and deal with this global economic feedback loop back yet again. It’s clear, the lessons from 2014-2016 come down to the “global economic picture” overpowering the Federal Reserve’s STATED policy path. In the end, the global wrecking ball found in U.S. dollar side effects – vetoed the Fed’s beloved rate hikes. Why are U.S. economists so myopically focused on U.S. economic data? It’s 2017, NOT 1997. Bloomberg GDP data. The St. Louis Fed Real GDP Nowcast Model Sees U.S. Q3 GDP up at nearly 3.7%. The question no one is asking: If economic growth is picking up sharply in the $62T bucket above, how with that impact the $18T economic output in the USA and Fed policy??? *11% plunge in the dollar (in 8 months) is fueling growth here. 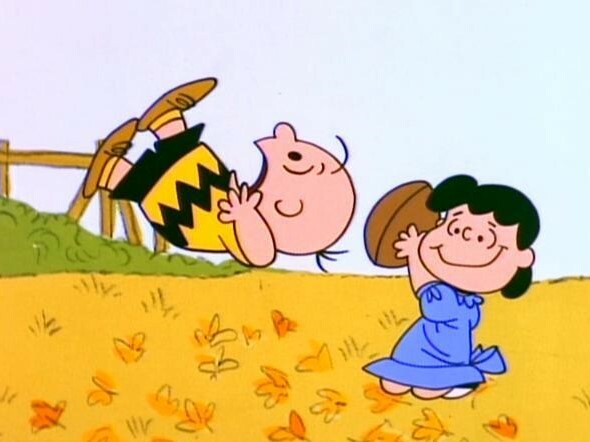 Of course, Lucy became the FOMC and Wall Street’s economists were poor Charlie Brown. The Ultimate Question of 2017? If global – strong dollar induced – disinflation pressures (2014-2016) vetoed the Fed’s widely advertised policy path (beloved rate hikes), why won’t global – weak dollar induced – inflation pressures today do the same (force more rate hikes)? How do you spell complacency? Wall Street expectations for this year have moved from 4 rate hikes to just two? If you look at the December euro dollar contract – in just three months – we’ve moved from a 70% chance of a December rate hike to just 24% today. Ignoring global reflation risks – this summer the Fed has dramatically talked DOWN rate hike expectations. *Side effects of weak dollar FOMC, China regulatory issues heading into 19th Congress, demand expectations for electric cars (Lithium, Copper). The last holdout has been oil. Several global secular pressures have been suppressing this beast, but she’s making some noise lately. Thursday evening, we attended a dinner with the NY Fed’s Bill Dudley, He delivered a speech at the Downtown Association with a hawkish tone. Dudley kicked the “financial conditions targeting” door back open in our view. He said the FOMC with an eye on FCIs should be able to remove accommodation with low inflation. In the Q&A, the sleepy event became far more interesting. Governor Dudley opened the door to inflation shock concerns with an eye on the two historic hurricanes with a meaningful impact on the U.S. economy this season. (Insured losses understate the fiscal policy rebuilding/infrastructure funding needed from Washington – $220B for Harvey and Irma in our view). The colossal rebuilding projects concentrated on greater Miami, Tampa, greater Houston, and Beaumont will require hundreds of thousands of new workers. Keep in mind, Texas and Florida represent 12% of US GDP. Dudley mentioned labor market in construction is “tight” in those states. According to the National Association of Home Builders – over 75% of its members report acute shortages in the latest survey. Our latest Bear Traps Report takes a look at bond yields and category 4+ hurricanes in the U.S. – the data is impressive. Each time, bonds rally into the tragedy – (GDP growth worries) on near term economic risk concerns. What comes next is a mind blower. It’s clear, any substantial fiscal policy changes coming out of Washington will have a meaningful impact (wages, average hourly earnings, cost push inflation). The colossal rebuild (as high as $220B in our view) comes with wage inflation risk in Q4 and beyond. Today, many U.S. economists are asleep at the switch again. They’re far too focused on “Goldilocks” calm U.S. inflation data, NOT global Inflation Pressures, Irma and Harvey. Hello, BIG MISTAKE. In a dramatic reversal, the global inflation picture could very well force the Fed into surprise rate hikes, NOT cuts this time around. Friday’s ISM data showed U.S. factories surged in August to the fastest pace of expansion in six years, largely powered by an employment uptick. Factory index climbed to 58.8 (est. 56.5) from 56.3 in July. Employment gauge jumped to 59.9, highest since June 2011, from 55.2. Economists polled expected a reading of 56.8%. Any reading above 50% indicates improving conditions. Friday’s jobs report in the U.S. displayed the strongest month for manufacturing hiring since August 2013. Manufacturing and construction accounted for an additional 64k new jobs. Inside the data, the measure of new orders fell to 60.3 from 60.4; order backlog gauge rose to 57.5, matching a three-year high. The August PMI is at its highest level since August 2011, when it touched 59.1. And the August PMI is 3.4% above the 12-month average of 55.4 and 2.1% above the 2017 average of 56.7. ISM noted, 14 of the 18 manufacturing sectors contributing to the report expanded in August. It’s clear, bond yields are being suppressed by U.S. political and global geopolitical risks – not economic growth data.